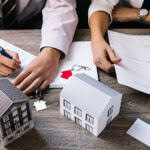 Home › News Updates › Tough Times Ahead For Property Owners? Tough Times Ahead For Property Owners? There could be difficult times ahead for property owners looking to rent, as rental rates for condominium units are expected to see a 20% to 40% decline over the next one to three years due to oversupply in the housing market. As more and more projects near completion and are ready for occupancy, owners are finding it increasingly difficult to sell off their units for a good price and are being forced to rent them out at lower rates, said Siva Shanker, the immediate past president of the Malaysian Institute of Estate Agents (MIEA) told The Star. He attributed the current oversupply in the housing market to less stringent lending regulations back in 2012 and 2013, where property flippers were able to take out a 100% mortgage and take advantage of the developers’ interest-bearing scheme (DIBS). With DIBS, the developer absorbs the interest of the housing loan during the construction period. Siva, who is also the chief executive officer of PPC International Sdn Bhd, a property consultancy and real estate group added that many buyers bought property within that time period with the intention to flip them, and sell them as soon as they were ready to be occupied. Many of the property units purchased during that era will be ready and available the end of 2015 and in 2016 – that’s when the problem begins – many buyers who bought property back in the day did not have to pay anything as they were able to obtain 100% financing. However, with the property completed, the DIBS will come to an end and the housing loan will start to kick in. Due to the current economic slowdown, political uncertainties affecting sentiment, and tighter banking regulations, buyers who bought property with the intention of flipping may now find it difficult to sell even at a lower price and may have difficulty servicing their housing loan, Siva said. He speculates that some buyers might even end up losing their properties because they cannot service their loan instalments, and it becomes a non-performing loan (NPL). Meanwhile, those looking for a place to rent will emerge the biggest winner from this, as there are home owners who will choose to rent out their units at lower rates rather than sell it at a lower price. However, Siva stresses that not the entire housing sector will be affected by lower rental rates; this would apply only in selected speculative sectors. “I think it will be for the RM500,000 to RM800,000 condos, the high-end residential condos and shoebox units like SoHo, SoVo and SoFo, which have been built by the dozens,” he said, referring to different types of small commercial units, the small-office-home office, small-office-virtual-office, and small-office-flexible-office. He added that prices of (existing) property in the Klang Valley have not come down even during the current economic slowdown. Nevertheless, Siva said he foresees that 2015 will end up looking like a bad year for the property sector even though not all the data is in yet. He predicts there will be renewed interest in the first quarter of 2016, and in the second quarter, the market will be just about ready to recover. There’s nothing you can do about the market slowdown, but you can leverage on your expenses and stretch your Ringgit further by using the right credit card.